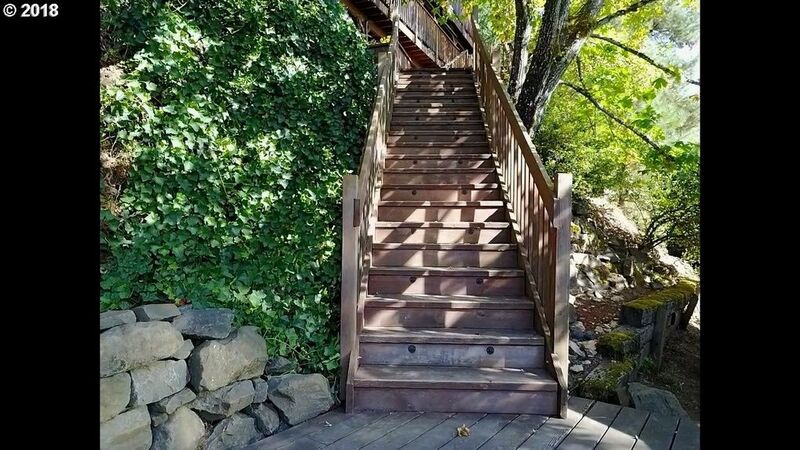 Step up to spectacular panoramic views from every room in this woodsy and private treehouse in area of expensive homes near campus. Updated kitchen with granite and stainless appliances, gorgeous bamboo flooring, vaulted master and huge covered deck for entertaining. Indoor laundry, washer/dryer and refrigerator included. Large 39x10 storage area under house. Easy care yard. Total peace and privacy!